Myron "Jake" Kolbe and his wife, Elinor, owned over 300 acres of farmland in Penfield Township. Myron was a lifelong grain farmer and won trophies for being Champion Corn Grower in 1963 and the Soybean Production Award in 1969. Myron was a naval pilot in WWII. Elinor owned a beauty shop in Wellington. They were members of their church and the Farm Bureau. Myron was an active leader in the community, serving as a Penfield Township trustee, on the Lorain County Fair Board. Their life's work and livelihood were intertwined with the land that they tilled for a lifetime. But they had no heirs, and the thought of the farm passing away along with their legacy was too much to bear. They wanted others to enjoy the life they had found so fulfilling. 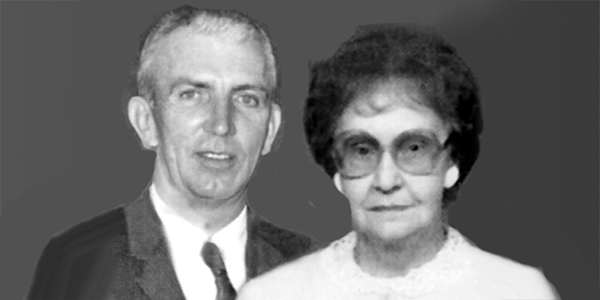 Myron and Elinor Kolbe bequeathed their farm estate to the Community Foundation to create agricultural scholarships. Myron passed in 1976 at the young age of 55. In 1996, Elinor donated some of the farm property to the Community Foundation creating the Myron & Elinor Kolbe Agricultural Scholarship Fund . The scholarship "equips talented young people to carry on the important tradition of farming which has been such a critical part of American Life." When she passed in 2004, she left the rest of their farmland as a bequest to the Community Foundation in order to create a second scholarship, the Myron & Elinor A. Kolbe Scholarship Fund that more broadly helps students for any career attend post-secondary school, with preference for agricultural, animal science, and vetrinary medicine. This bequest launched us into the farming business in ways completely unforeseen. Our standard policy for gifts of real estate is to sell the property outright and use the proceeds to create the endowment Funds per the donor's wishes. The conversations around how to best steward the Kolbe property started us thinking. Keeping the Kolbe property was a total departure from the usual approach the Community Foundation has toward real estate gifts. But could we make a larger impact over time by keeping the land? The Community Foundation Board decided, after receiving community input, that leasing the land for agricultural production was the best option for all. Kolbe Farm being prepped for next crop rotation July 2017. Photo by Karl Schneider. The proceeds of the lease continually fund the Kolbe scholarships for Lorain County students. Over $621,883 in scholarships have been awarded, helping almost 300 students in Lorain County. The Kolbe's are permanently keeping acres in productive farmland, helping local farmers, paving the way for future farmers, and keeping their legacy alive. If you would like to learn more about Forever Farmland or its related program Gifts of Grain , please give us a call or drop us a line to learn more.